Best Horse Riding Gloves Reviews We will offer you our recommendations on how to choose the best horse riding gloves based on materials and price. Learn how to measure for the right size and get all the details about them! 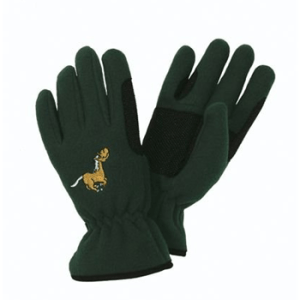 A good pair of gloves is a necessary part of every rider, or horse owner’s wardrobe. Riding gloves protect your hands from the friction of gripping the reins. They also provide extra grip from moisture such as the horse’s sweat, or precipitation. Riding gloves for show are typically available in neutral colors such as black, or brown. The riding gloves for schooling can be found in an assortment of fun colors, so you can choose something a little less severe. You will need to have gloves for schooling and show, so you will have at least a couple of pair of different riding gloves. 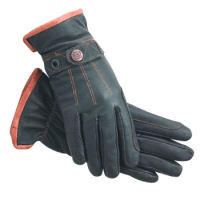 If this is your first purchase, let us help you find the riding gloves that are perfect for your hands and style. Below you can find a list of all possible materials used to make riding gloves. Cabretta leather is the highest quality of leather available. This drum-dyed, sheepskin leather is extremely soft and durable. Deerskin leather is thicker than other leathers and still offers a comfortable, butter-soft feel. Goatskin leather is one of the most durable leathers, yet remains soft and flexible. Laboratory tests show that goatskin leather is three times stronger than cowhide. 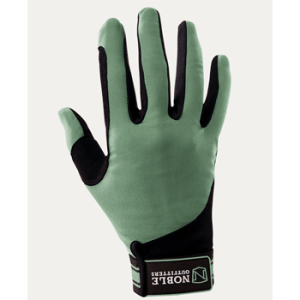 3M THINSULATE is the warmest thin glove insulation available, even in damp conditions. It provides about 1-1/2 times the warmth of down, and about twice the warmth of other high loft insulation materials. SPANDURA is a blend of Nylon and Lycra, this “omni-directional” stretch fabric forms to the hand well, and offers exceptional ventilation. Coolmax fabrics are designed to move moisture away from the body and enhance the fabric drying rate. Thus, it keeps you feeling cool and dry. LYCRA is a soft, form-fitting “omni-directional” stretch Nylon, used for its characteristics of ventilation and comfort. NEOPRENE is an extremely versatile, synthetic rubber, which is soft, flexible and stretchable. Neoprene displays outstanding physical toughness, and retains body heat. Usually one hand will be slightly larger than the other, typically the strong hand, (such as the right, if you are right handed). Using a tape measure, wrap the tape around the hand at the widest part and make a loose fist. Round the measurement to the nearest 1/2″. The price range of a pair of horse riding gloves can vary between $10 – $100 EUR, so it completely depends on your budget and needs. Riding gloves are an essential piece of your riding outfit. 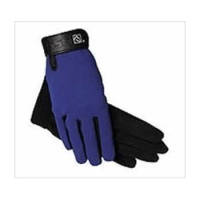 They protect your hands from friction against the reins, or the lunge line, and from the elements. 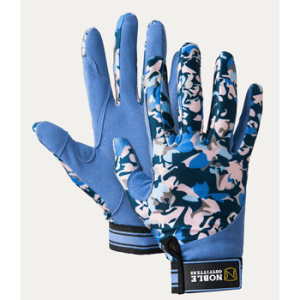 Riding gloves are designed specifically to aid riders, and often have reinforced areas for durability, where the reins come in contact with the gloves. Features vary between styles, but may include added grip, ventilation panels, flexible fabrics and weather resistance. It is very important to know how to size riding gloves in order to choose the perfect match, and we will try to help you with this matter. 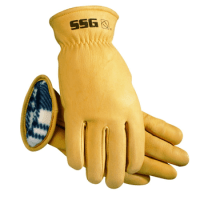 Glove manufacturers offer sizing in either “half-inch increments”, or in “universal sizing”, from size extra-small to extra-large. Riding gloves should fit snugly, but not feel too tight, or binding. Here are some recommendations how to size gloves. 1) You can use a soft fabric tape measure, with inch increments. 2) Measure around the widest part of your hand, excluding your thumb. The tape measure should be snug and straight, but not tight. 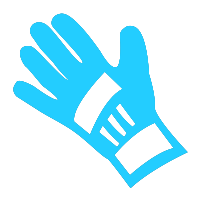 3) The number of inches around your hand represents your glove size. You can consider that the glove size is determined as 7 inches. If the tape measure showed 6¾ as the measurement, then the recommended glove size would be rounded up to 7 inches. If the riding gloves you like are offered in universal sizes, refer to the manufacturer’s size chart, to determine your size. Not all manufacturer’s sizes are perfectly equal to another. It is good to know, that leather gloves may be cared for in much the same way as your leather tack. If they become wet, allow them to dry naturally, away from artificial heat sources. Condition them lightly with a leather conditioner to prevent them from cracking. Always check the manufacturer’s care label, but in general, synthetic riding gloves may be washed by hand with a mild soap, and allowed to air-dry. The total Reviews Bee rating sums up the overall picture of every product. Reviews Bee works tirelessly to ensure that we are providing the best product recommendations to you and your family. 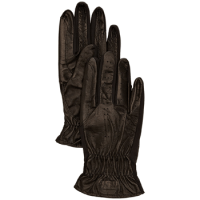 In rating the various horse riding gloves available, we strive to give you the best information possible. Our algorithm includes information from both expert and consumer resources. There is no need to spend hours on researches, because Reviews Bee instantly gives all researches and analysis for you and creates a Top list to save your time and money. 2. We Analyze the Data Expert Popularity Score, Expert Ratings, Consumer Popularity Score, Consumer Ratings and Consumer Complaints are inserted into our algorithm in order to calculate our Reviews Bee Score. 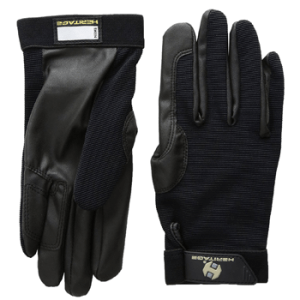 This score, in turn, is used to rank each horse riding gloves in our Top 10 recommendation. The Reviews Bee score is a summary of each of the most important factors indicating the value of a camping axe. 3. 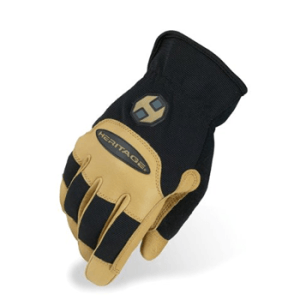 We Deliver The Best Results By taking each of these essential factors into account, we are able to give each horse riding gloves an overall Reviews Bee Score that ranks each product against the others in our Top 10 list. By using a vast array of expert and consumer ratings, reviews, and feedback, Reviews Bee provides you with the most comprehensive analysis of product information available to you. You can make your purchase knowing that the best research was utilized to make your decision. We came up with the popularity score for horse riding gloves provider while analyzing 22 expert sites that are trustworthy. 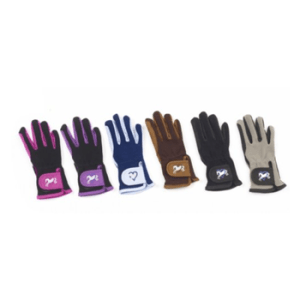 Based on our detailed evaluation, each horse riding gloves are assigned an expert popularity score based upon how many times each product is positively mentioned by experts in the industry. By analyzing all the expert review sites our algorithm summed up the average ranking for every horse riding gloves in their rankings and that is how we came up with the final score for each horse riding gloves brand. We managed to gather more than 5870 reviews from 99 reliable sources and our algorithm calculated the average score for each brand. In order to understand how satisfied those consumers were, we analyzed the total number of reviews. We collected all the reviews and the number of stars people gave for each product. Based on these findings we came up with the average customer rating. This is how we managed to bring out the camping axe reviews through which you know how the consumer can rate the horse riding gloves. 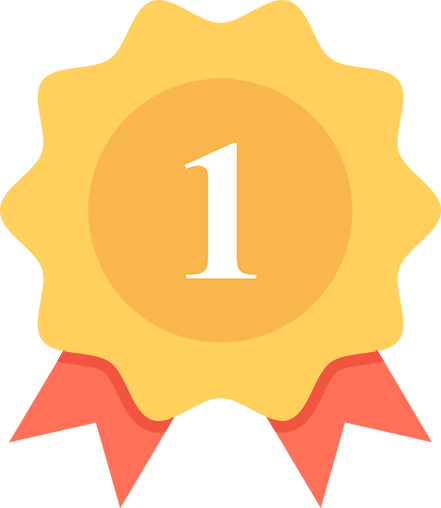 In order to make our results authentic, we don’t limit ourselves to just the positive rankings factors but we also take complaints from all over the web into consideration and figure out how many customers were complaining about the product. Through this, we show both sides of the product whether it’s positive or negative in nature. This then makes it a negative factor in our algorithm. This as a result makes the best horse riding gloves reviews. That is why horse riding gloves reviews not only have positive comments mentioned but also the negatives as well.